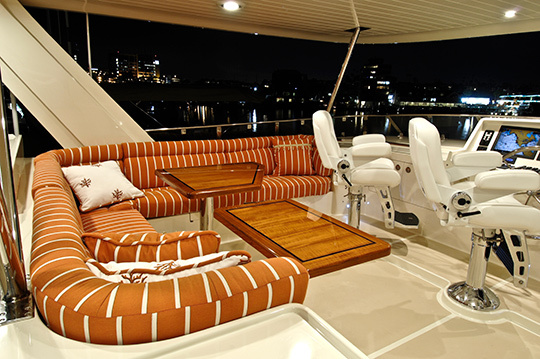 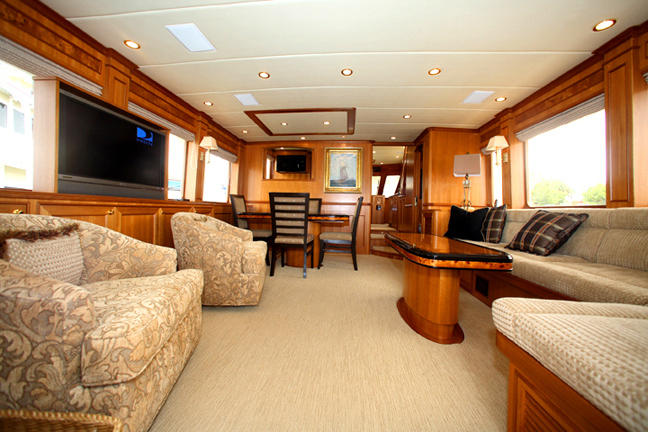 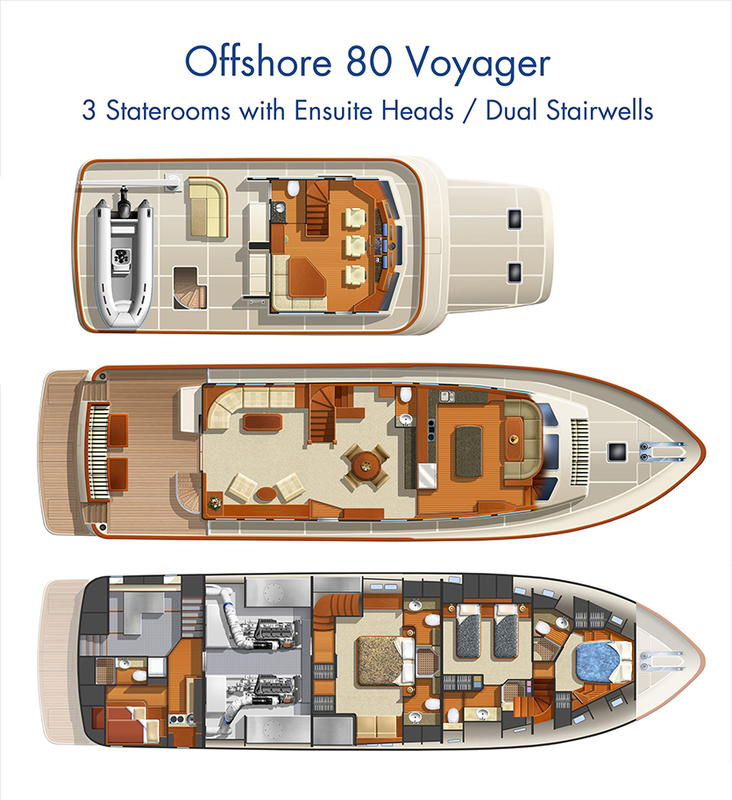 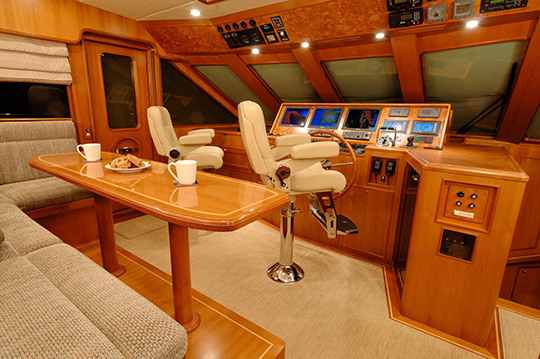 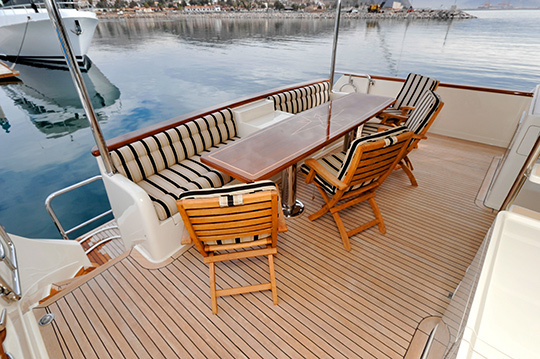 The 76/80 is the largest of the planing hull designs in the Offshore series. 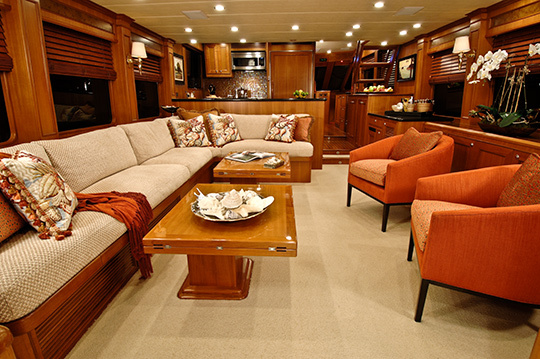 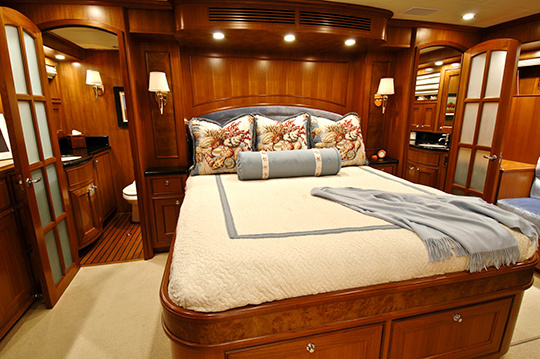 With a 19'3'" beam plus a generous three stateroom plus crew aft of the engine room, this low profile efficient running design has earned the "softest ride on the water" reputation plus keel protection for the running gear. 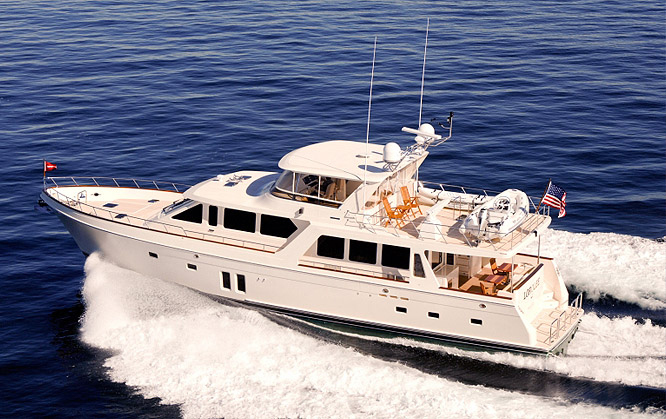 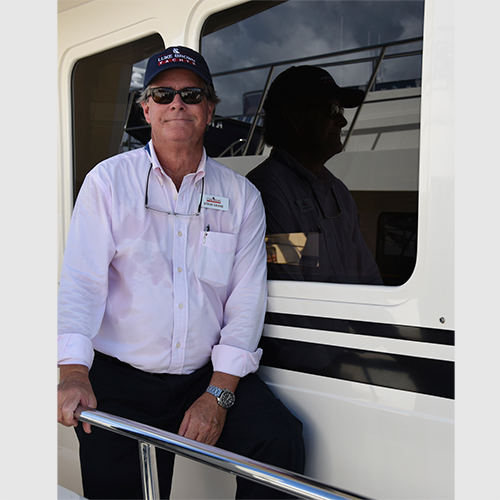 With a wide range of power options, this size Offshore can be built to meet the needs of fast cruising owners, or as a longer range yacht, with lower horsepower Caterpillar engine packages.